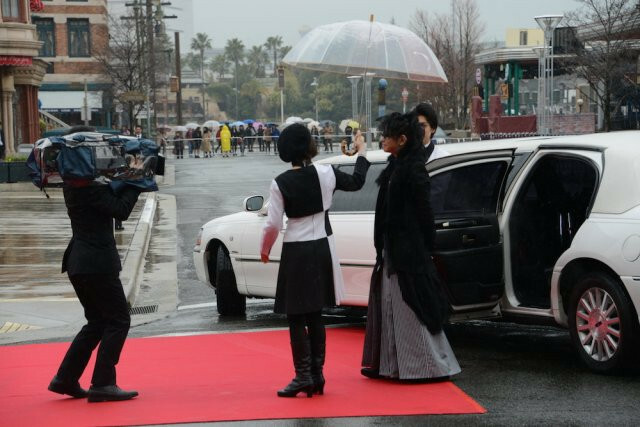 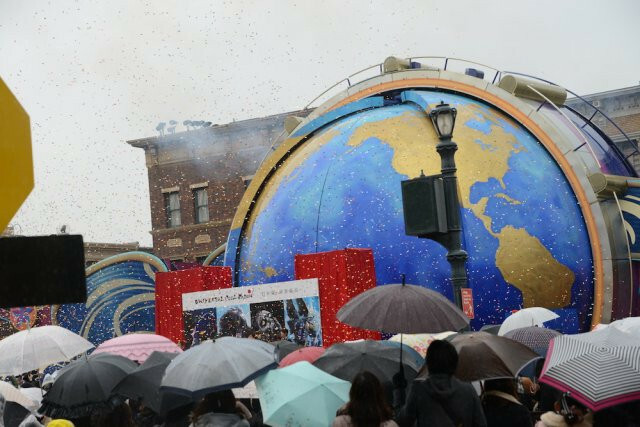 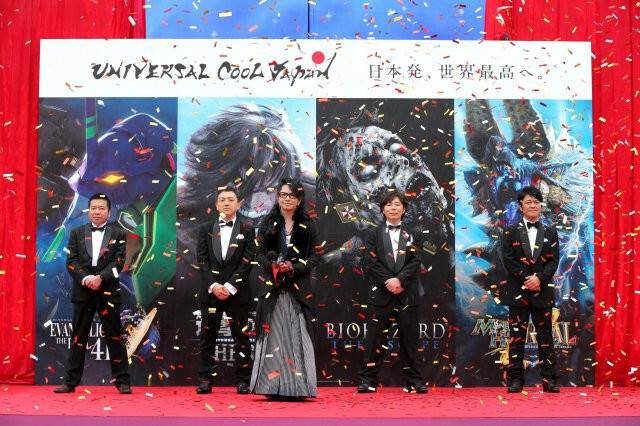 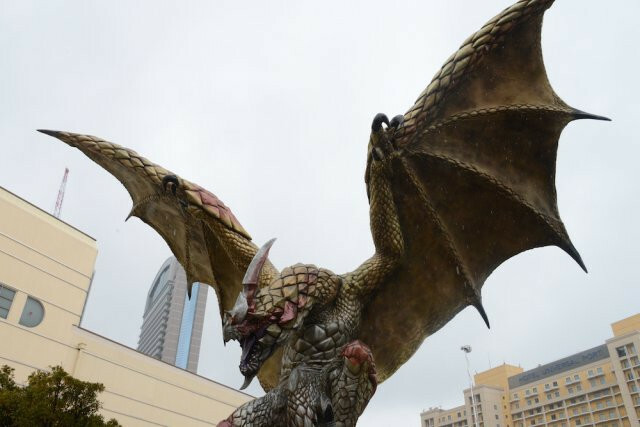 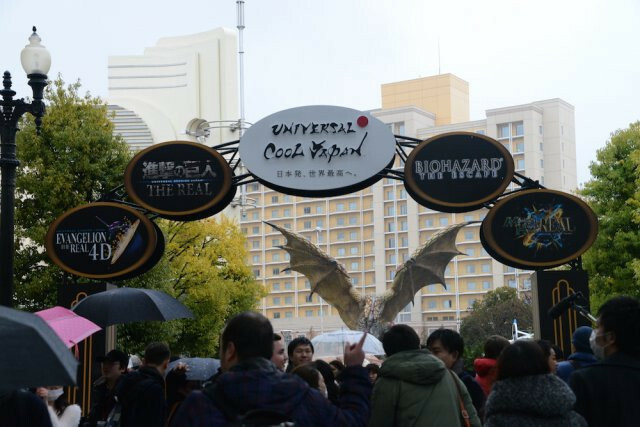 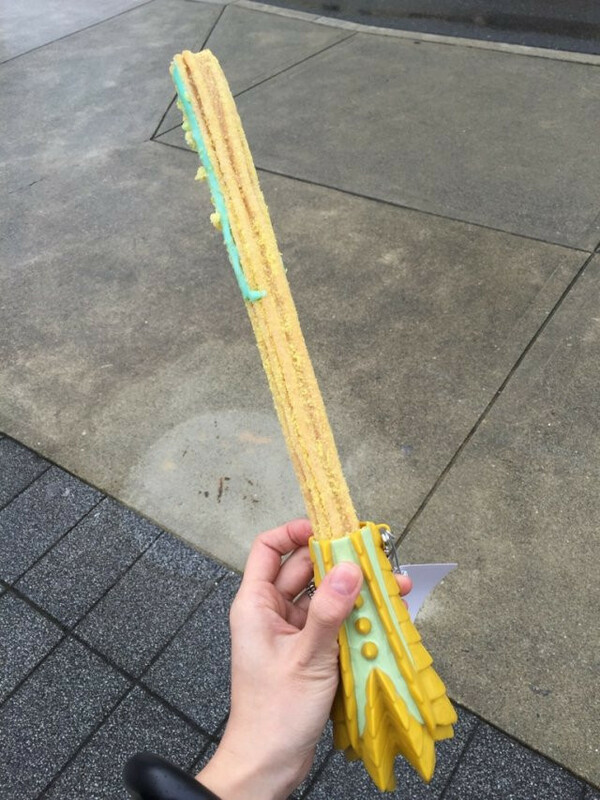 Musician HYDE helped launch the opening ceremonies for Universal Studios Japan/USJ in Osaka's "Universal Cool Japan" attractions based on Evangelion, Attack on Titan, Resident Evil and Monster Hunter, hosted January 23rd-May 10th. 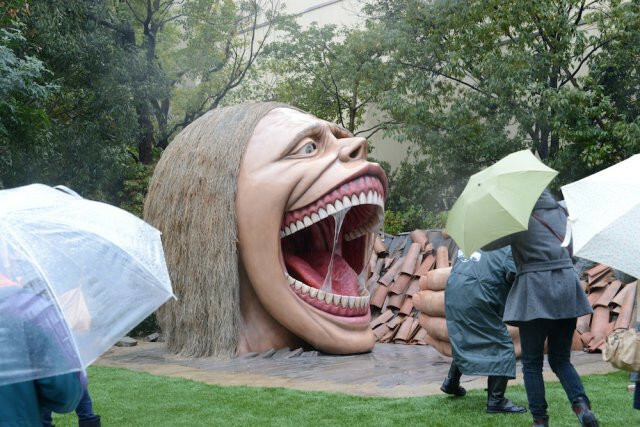 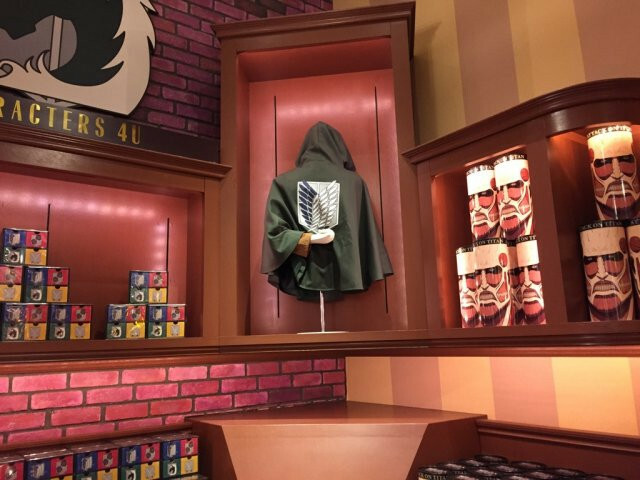 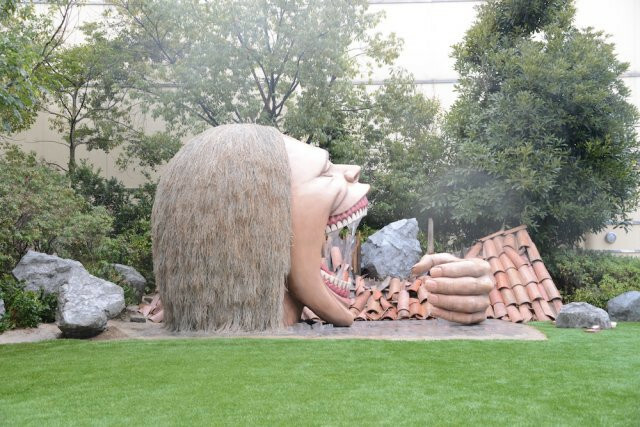 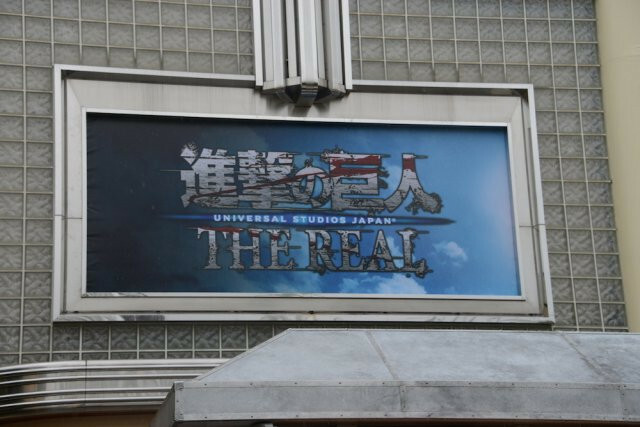 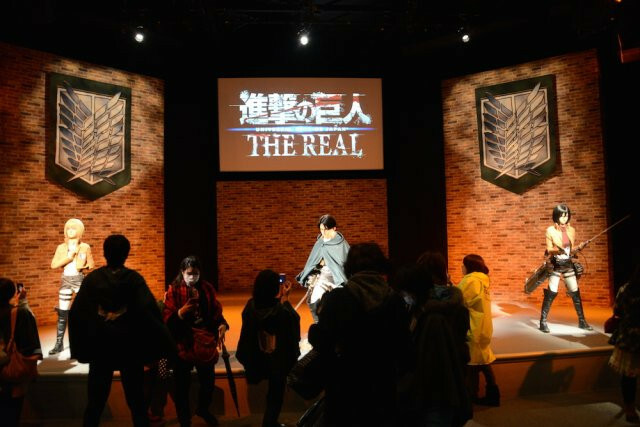 "The Real" Attack on Titan experience will offer a Survey Corps eye's view of a battle between Eren's 15m titan and the 14m Female Titan as well as the view from a Titan's victim. 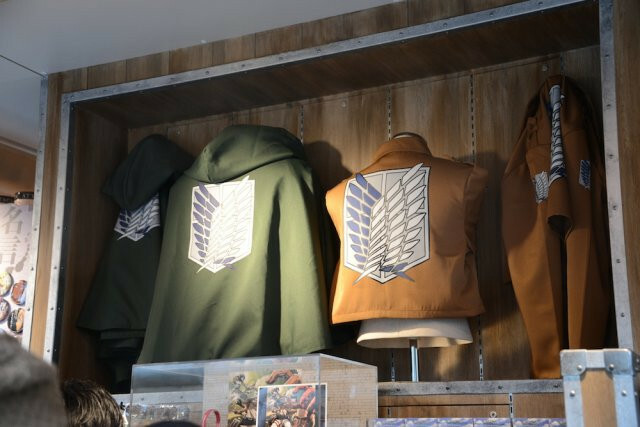 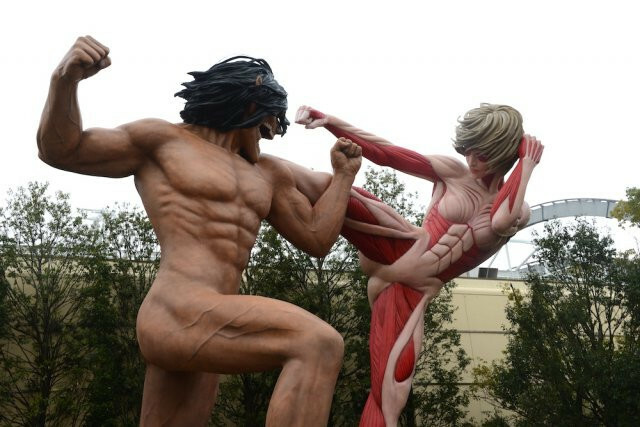 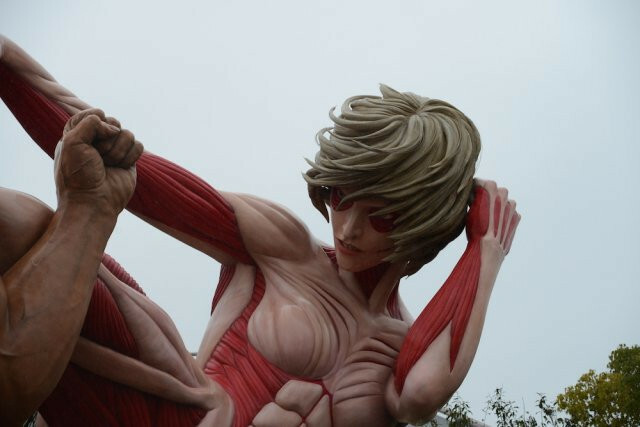 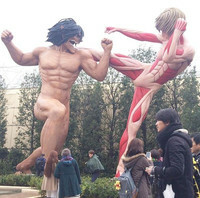 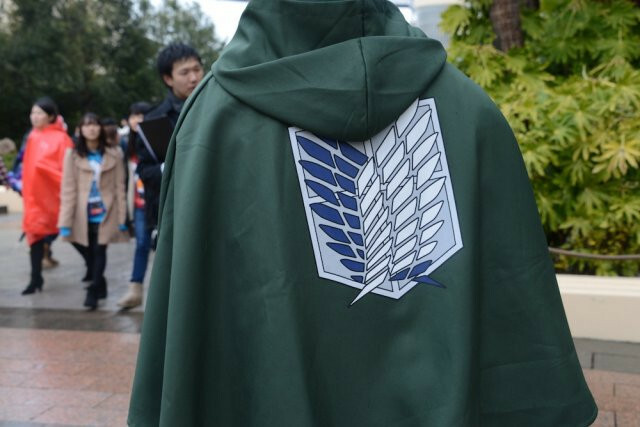 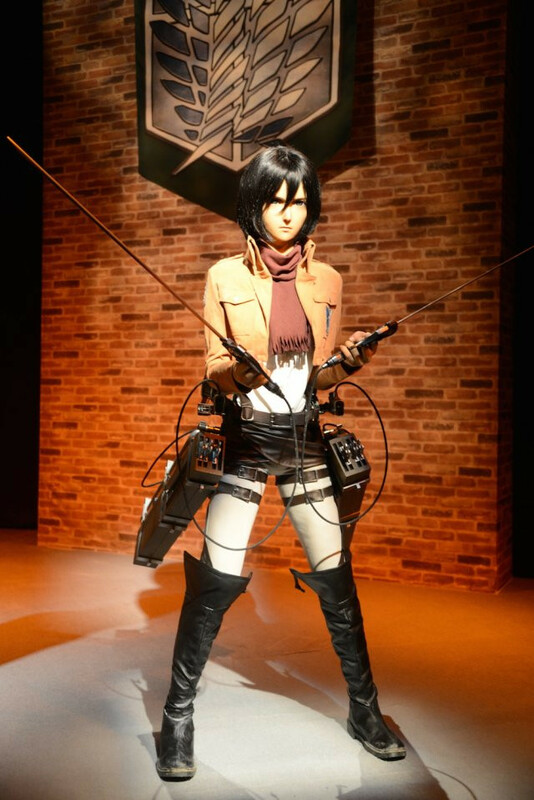 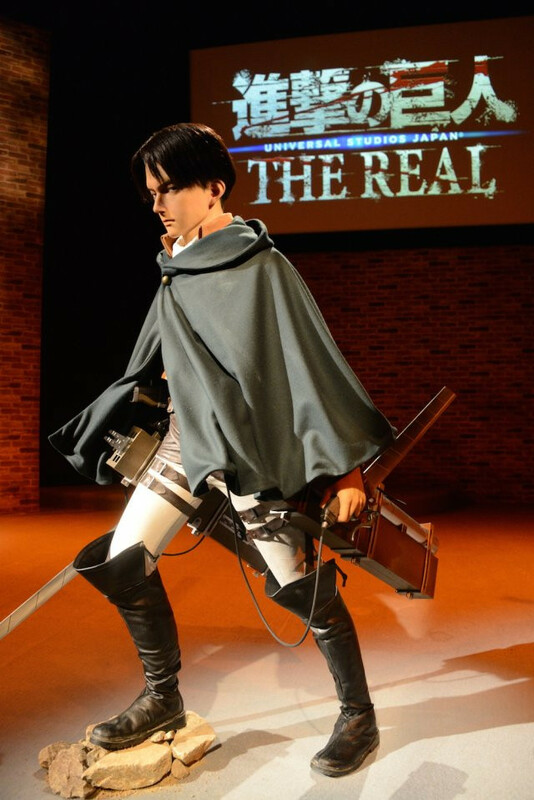 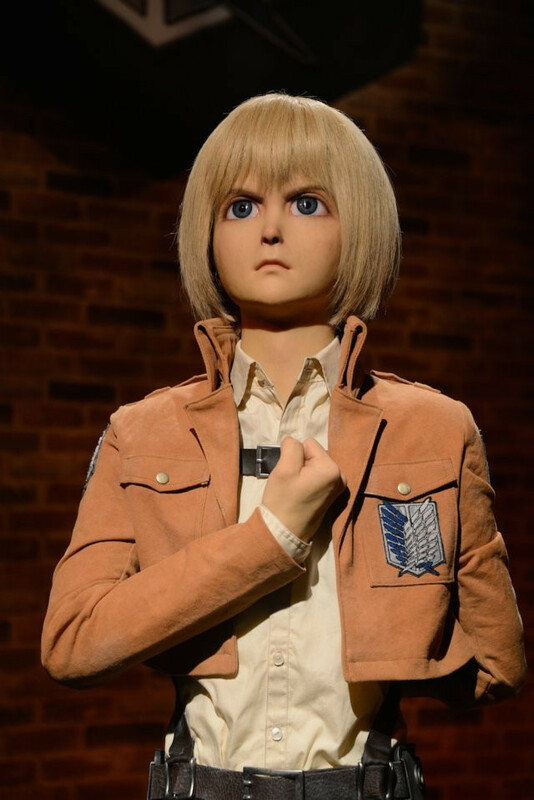 Life-sized "Clone-oids," created with "the world's most advanced technique to recreate humans," based on Levi and Mikasa and Armin guide visitors through the "Female Titan Capture Operation." 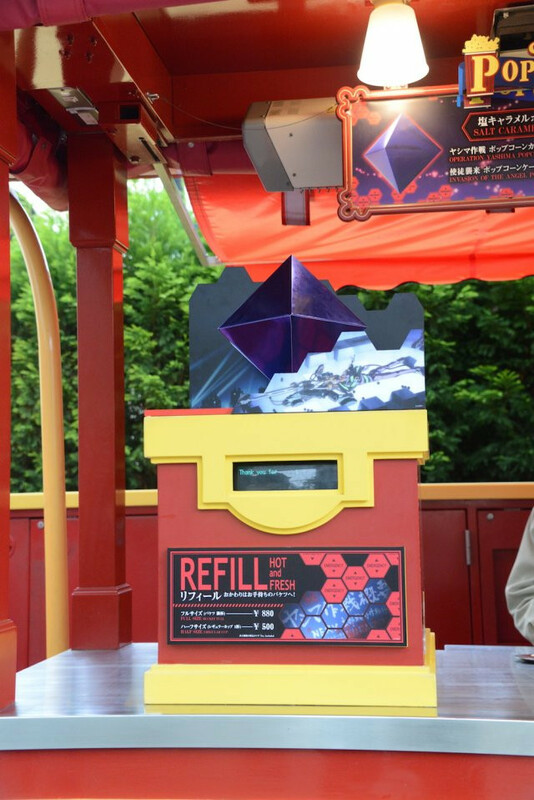 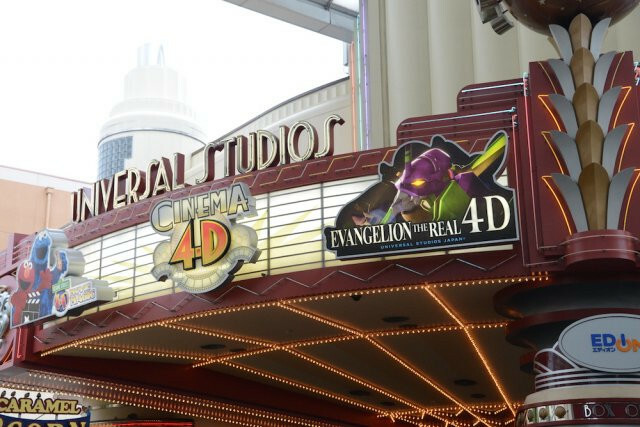 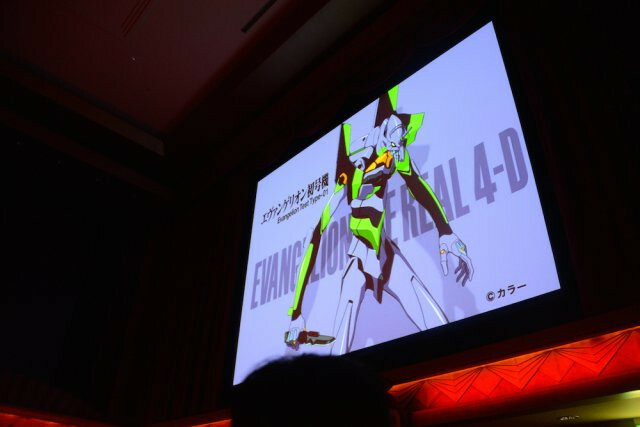 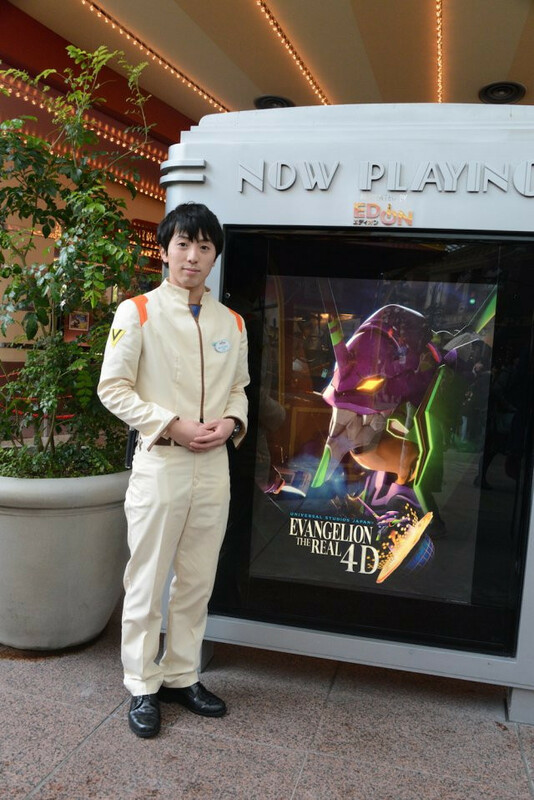 The Evangelion 4D experience puts visitors on the battlefront of an angel attack via motion theater, complete with wind and water. 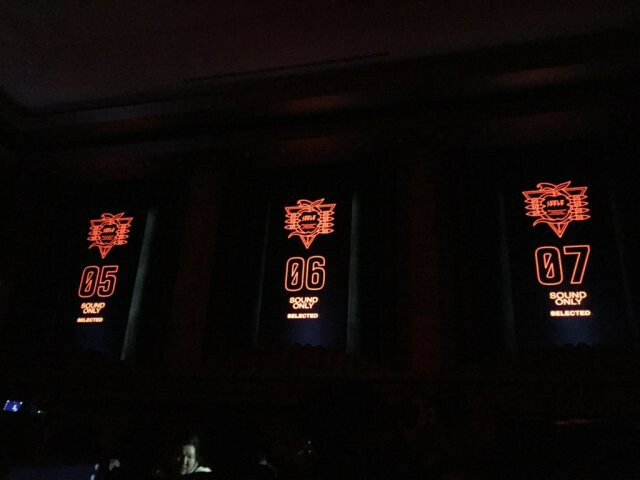 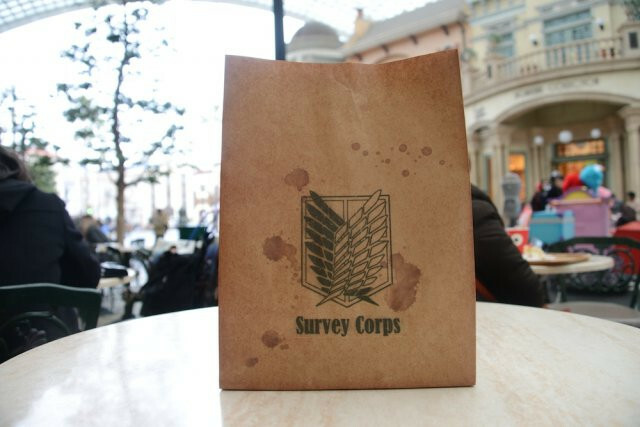 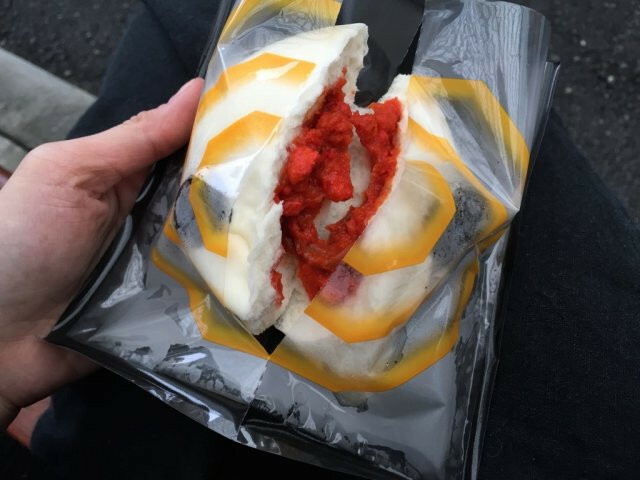 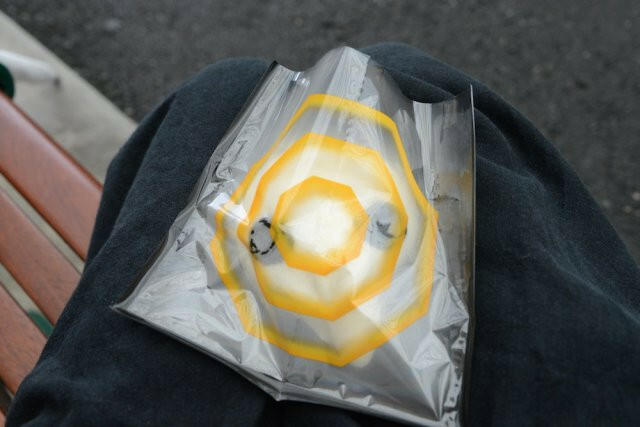 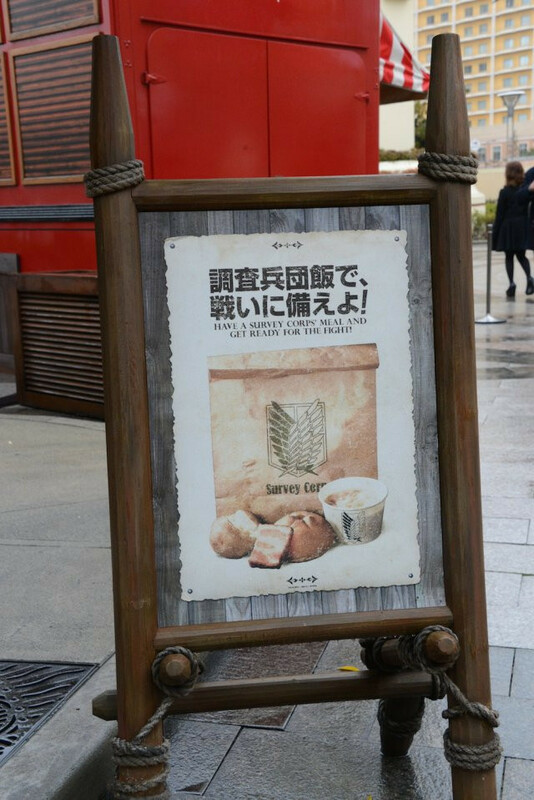 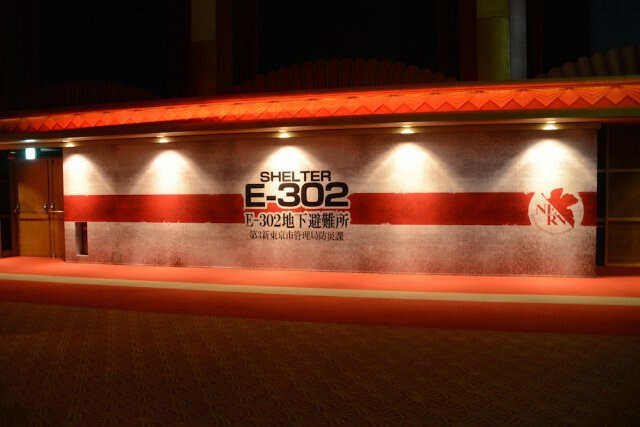 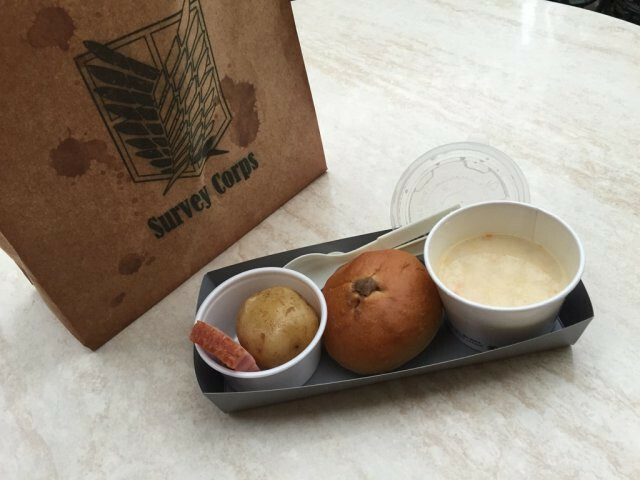 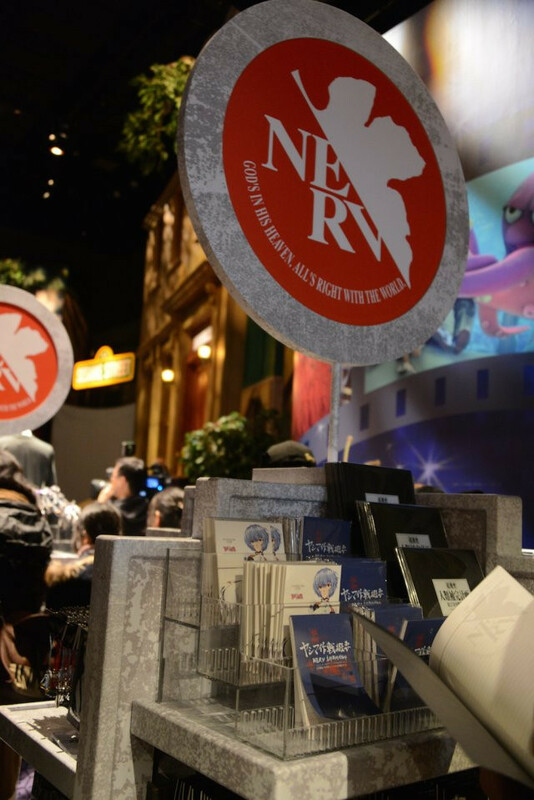 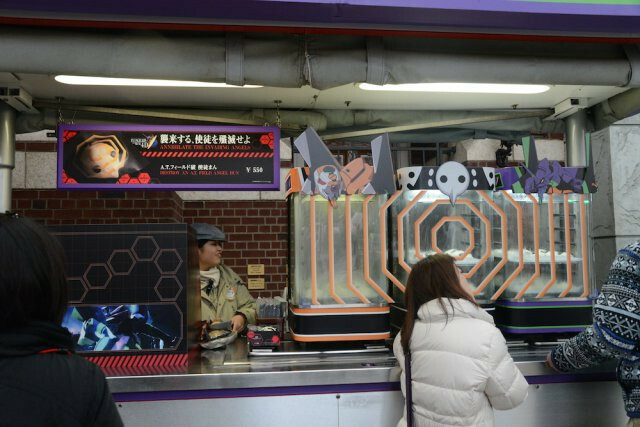 Concession sellers will offer themed food such as Survey Corp rations with bread, potato and soup and shattered Angel's AT Field steamed curry buns.